Green Dental can provide you with treatment for gum disease if you live in Alexandria, VA. Gum disease is progressive, so you should seek general dental treatment to avoid further complications. We treat gum disease at the source, providing you with the right treatments for your needs. The detailed exams used at Green Dental will determine the cause of your gum disease, allowing your dentist to clear the infection. Green Dental provides deep cleaning treatments, as well as medicinal and oral hygiene recommendations. Gum disease normally arises from inadequate cleaning and flossing, which causes the gums to become infected. A buildup of bacteria around the teeth and gums will cause pain, swelling and bleeding in the gums. Green Dental will often detect gum disease before you begin to develop symptoms. We also provide scheduling that helps prevent gum disease from taking root. One of the core values of Green Dental is providing preventative dentistry which negates the need for unnecessary treatments. Periodontal disease is a type of gum disease, usually caused by poor oral hygiene. 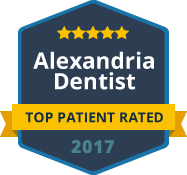 When you have gum disease in Alexandria, VA, the condition can result in serious damage to your teeth and gums. In severe cases, periodontal disease requires surgical treatments. Symptoms vary from patient to patient. Common symptoms of periodontal disease include bleeding, swelling, discoloration or painful gums and teeth. You may also notice that your gums are receding, resulting in more of the teeth showing than normal. The condition is treatable, so do not delay in contacting Green Dental if you have any of the symptoms of periodontal disease. Do not risk your teeth and gums. If you suspect that you have gum disease, contact Green Dental of Alexandria today. We can provide you with treatment in our offices today.